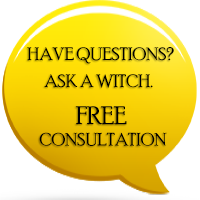 For this blog entry, I would like to share with all of you a consultation message which was recently sent to us at 7Witches Coven. The message was from a long time treasured customer of our Coven's services. So we asked him if we could share his message with all of you. His current struggle is one we have all experienced, so with his approval, here is his message below. I've been having so many problems in life right now. Every time I think I'm finally getting ahead something gets in the way and stops me. I feel like the events that need to happen for me to be successful never happen. I see many of my friends being offered great opportunities, where as I am never being offered anything good. It feels like I just have no Luck and I keep getting stuck with the short end of the stick. I'm having a really hard time keeping my spirits up when we are now heading into the Holidays. I don't know how I'm going to be able to pull through. I hope the powers of the 7Witches Coven can help me. For all of the years we have known Hopeless for the Holidays, we have always felt that his Spirit was strong and full of potential. You are all strong and it is the Coven's sincerest honor to help you all achieve your full potential. You may not comprehend how much change you can create for yourself, every wave you make ripples outward sending your energy away from you and into the world. Here is the advice we gave Hopeless for the Holidays, because in order to change you must be open to the following ideas below. Our Good Luck Dragon Coin Bracelet can help bring Magick and Luck to your everyday life. It will allow opportunities to be presented, restore luck and help eliminate negative thoughts that are hindering you to move forward. All the above ingredients could result in a happier, prosperous life. Let us know if you have any issues you would like answered in the coming blog entries. I feel the same way this man does! Everyone so happy but me..feeling the pain of 10 months or mt husband and i being apart which isnt my doing..although theres slight chance and we are communicating better there's still that wall of his! Knowing his mom and family dont want reconciling between us but our love and bond being tested and can he once again tell his family this is my life my wife and im going home? My children being grown and his still somewhat young 15 11 i need to rebond with them and we need to be a family again! I miss my husband he's my best friend and love him so much to let some crazy crap take it all away or the doubts and fears he has of coming home. Although he loves me he's never in his life been able turn in his running shoes to finally realize every marriage has its PROBLEMS but you don't keep running away FROM it! I need blessings to remove the enemy's hold on him and bind up his confussion and fear and his mother and let him come home for good! I'm pretty much in the same boat as hopeless. I've asked for help from friends fellow witches and covens. No amount of spell casting, charms and prayers has helped. I have had countless spells thru 7 witches cast for me. But none have helped or worked. If you are dealing with severe depression it is very difficult and exhausting. That's why I ask for help. I am at the end of my rope. I can't see thru the fog, to make it to shore. I always get bashed to bit bits on the jagged rocks. That is a good letter. I will print it out and post it around the house to read again. Thank you and Blessings back to all of you and Blessings to Hopeless for the Holidays. May his wishes come true, one by one. This could be because his friends were cursing him. Or people that he knows. That's usually how that who scenario goes down! I feel the very same way. I understand completely what this person is going through. Is there a spell for this? I just wanted to say that I really appreciated reading this letter. For the response, which has the potential to benefit a great number of individuals, I sincerely appreciate, as it flows from the kindness, sensitivity, awareness, and intelligence of The 7Witches Coven. i need luck and success in my life, and I may have received both in an aspect. Certainly, I know full well the large need for my letting go of anger, bitterness, and regret. Thanks again, and I extend my wish for everybody to have a wondrous an d healthy Thanksgiving. Take care. Bless you all. I really hope things get better for you so much. Please just keep up a positive attitude and every day think good thoughts and ask for help to all of the spirits, angels, and guides and hopefully they will bless you and hear you. I believe in Karma so much and always remember, if your good and kind to others it will come back to you.My thoughts are with you all and please stay strong.